Humor Writing Prompts for Tweens and Teens — They say laughter is the best medicine… and these brand new humor writing prompts for tweens and teens are here to prove it! 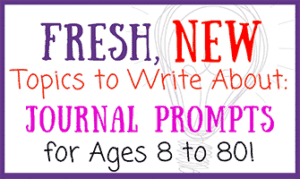 In this special collection of journal prompts, students will have the chance to express what they find funny through several types of humor. 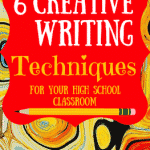 First, they’ll consider a few questions and reflect on what makes a person or situation funny—and then they’ll be asked to write their own short stories, puns, comic dialogues, satire, and absurdist humor. 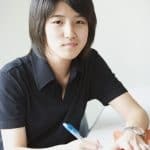 Many students will initially gravitate toward one type of humor over another, but others will be surprised to see where they find comedic inspiration. And most importantly, everyone will benefit from trying something new and looking for humor in unexpected places. 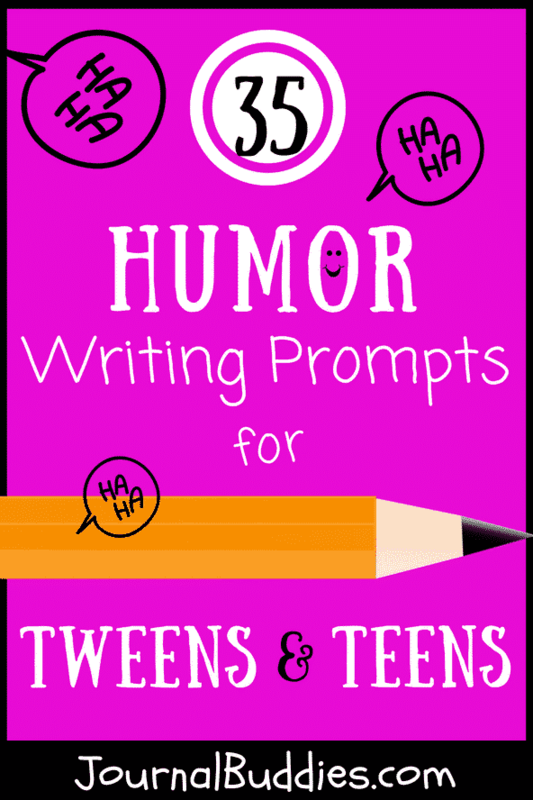 Use these all-new humor writing prompts with your students to build their confidence in self-expression… and to stretch their comedic muscles! What is the secret to being funny? What makes someone have a good sense of humor? Who is the funniest person you know? What makes him or her so funny? What types of things do you find funny? What kinds of jokes aren’t funny to you? Why? How would you define your sense of humor? What is the funniest book, movie, or TV show you’ve ever enjoyed? What made it so funny? 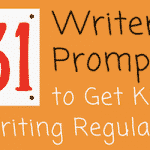 Write a short, funny story about a babysitter who isn’t very good at his or her job. 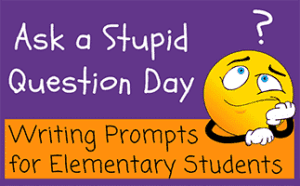 Write a short, funny story about a school announcement that goes horribly wrong. 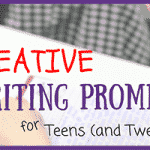 Write a short, funny story about something your parents always tell you. Write a short, funny story about the worst meal you’ve ever had. 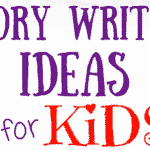 Write a short, funny story about an unusual holiday celebration. Write a short, funny story about a perfectly normal house that everyone believes is haunted. Write a series of puns about your favorite animal. Write a series of puns about your favorite food. Write a series of puns about your school. Write a series of puns about social media. Write a series of puns about a famous politician. Write a series of puns about outer space. Write a piece of comic dialogue about a football team with an unusual record. Write a piece of comic dialogue about an argument between two friends. Write a piece of comic dialogue about someone receiving an award he or she doesn’t deserve. 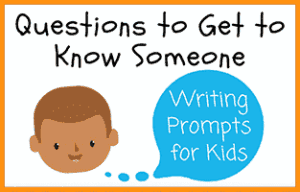 Write a piece of comic dialogue about a child who is embarrassed by something he or she did. Write a piece of comic dialogue about someone who thinks he or she has made a new discovery. Write a piece of comic dialogue about a person who has more money than he or she knows what to do with. Write a short, satirical piece about a local restaurant. Write a short, satirical piece about a current news story. Write a short, satirical piece about a celebrity. Write a short, satirical piece about people of your generation. 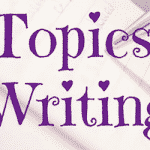 Write a short, satirical piece about the different standards girls and boys are held to. Write a short, satirical piece about someone who is very passive aggressive. Write a short, funny story that uses absurdist humor about an unusual summer vacation. 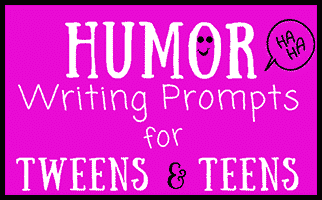 Write a short, funny story that uses absurdist humor about one of your friends. Write a short, funny story that uses absurdist humor about someone trying something new for the first time. 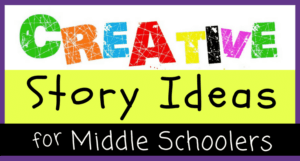 Write a short, funny story that uses absurdist humor about a historical event. 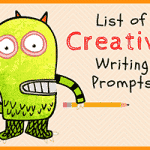 Write a short, funny story that uses absurdist humor about someone who behaves unusually. 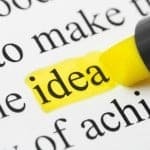 Write a short, funny story that uses absurdist humor about an argument that could be easily resolved.